Mullumbimby Plum (aka. NSW Davidson Plum) produces pleasantly sour red-fleshed fruits that are high in antioxidants and vitamins. The tree is slender and palm-like, native to the rainforest regions of subtropical NSW. Though considered endangered in the wild, it is widely cultivated by domestic and commercial gardeners. Fruits are large and purple, resembling European plums in appearance. You’ll notice them prolifically between November to February, with individual trees capable of producing many kilos of plums. Their refreshing tartness works well in both sweet and savoury product, such as jams, jellies, cordials, wines and meat sauces. 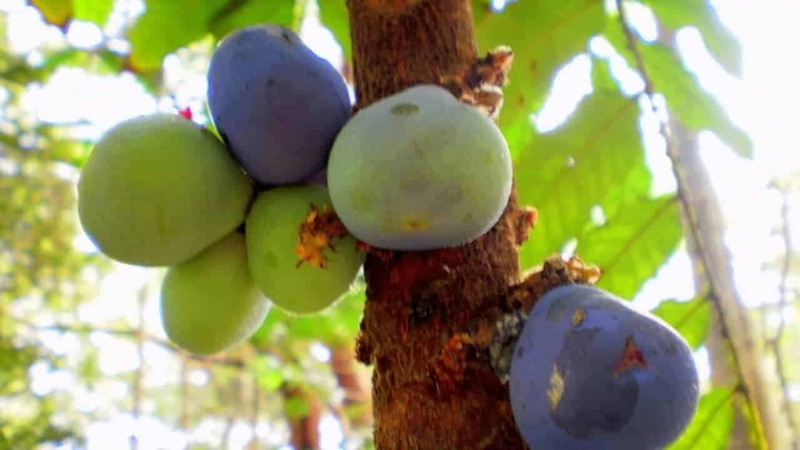 Ripe fruit will easily detach from the tree with a firm shake of the trunk. Mullumbimby Plum needs protection from full sun, frost and wind when young, but is suitable in full sun and part shade at maturity. Does best in moist, fertile soil rich in organic matter. Water well during the flowering and fruiting season. 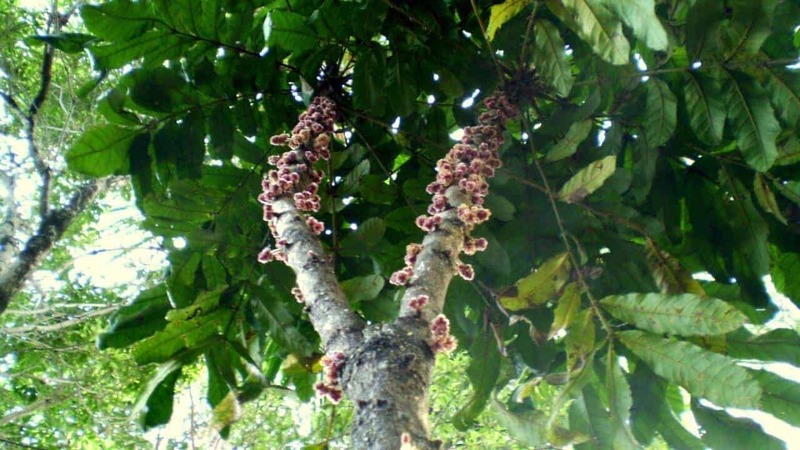 This subtropical tree can reach up to 10m in its natural habitat, but most commonly grows to between 4 and 8 metres in the garden. Its slender form makes it suitable for narrow spaces, though it shapes up well as a shade tree or central feature too. My Mullumbimby fruits look deformed or full of holes. What’s going on? Mullumbimby Plum doesn’t suffer from many pests and diseases. Chances are, you’re sharing your fruit with a variety of other hungry creatures like flying foxes, rodents, parrots, worms, moths, caterpillars and fruit flies. Why are the leaves of my Mullumbimby Plum are turning brown/black? How do I get rid of a fruit fly infestation in my Mullumbimby Plum?